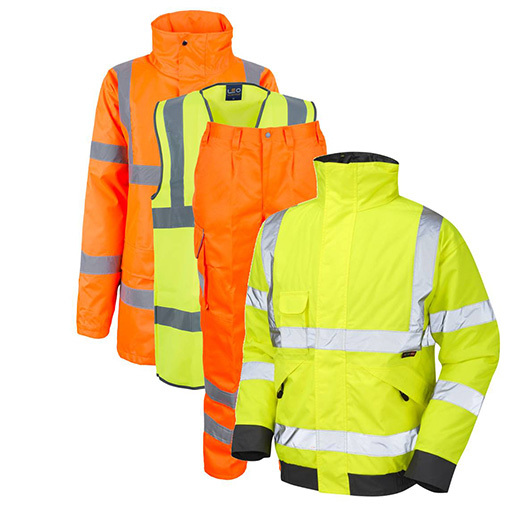 We offer Fire Retardant & Antistatic workwear ranges, also ESD garments. We know that in this market you can’t afford to take chances and skimp on protecting your staff from the real hazards and inherent risks that exist in everyday operations within these environments. This is why we bring you the best in terms of protection and value for money. Extensive training and research has gone in to provide you with the expertise that is required to evaluate and correctly select the most viable solution for you. 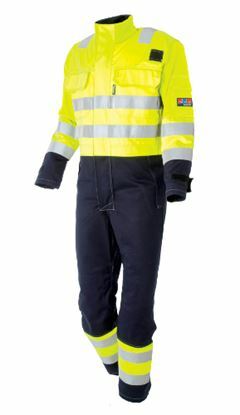 VXS+ super soft inherently FR fabric with Antistatic Grid, 300g/m2,two tone design with contrast stitching, 50mm reflective tape with double stitching, internal kneepad pockets, combat pocket on leg with flap and mobile phone pocket, hip pockets with flaps, extra wide belt loop at rear, YKK branded zipper, two rear pockets with Easy Seal flaps, triple stitched side seams for strength. 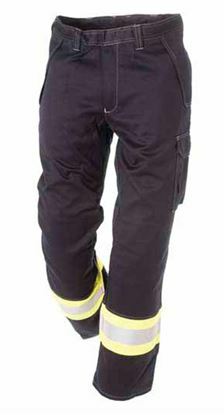 NB size 28" waist is made in longer lead time and costs more as not a routine size/taken in bulk. 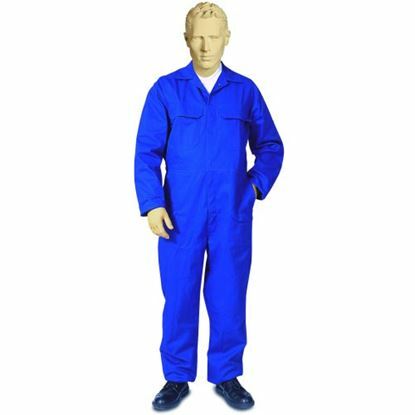 Premium quality coverall in VXS+ super soft fabric 300g/m2 /340g/m2 designed to offer protection to workers in Petrochemical, Utility and associated industries. 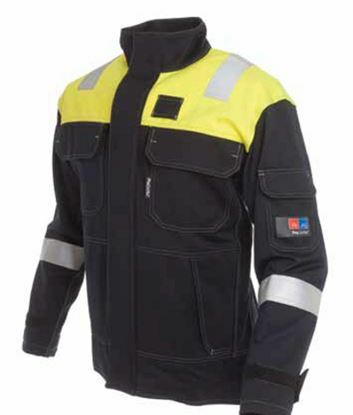 Microflex flame retardant & anti static jacket. High frequency welded seams. Fixed hood with drawstring. 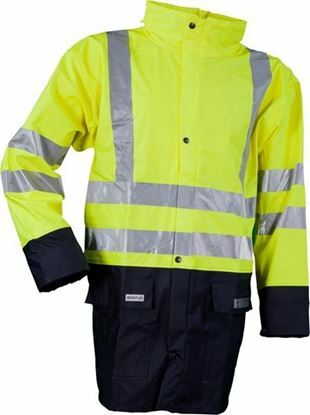 Zipper under storm flap with snap closure. Adjustable press stud cuffs. Two straight pockets. 3M reflective. 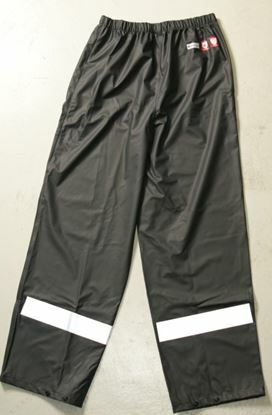 Microflex Fflame retardant & anti static rain trousers. Elastic waist. 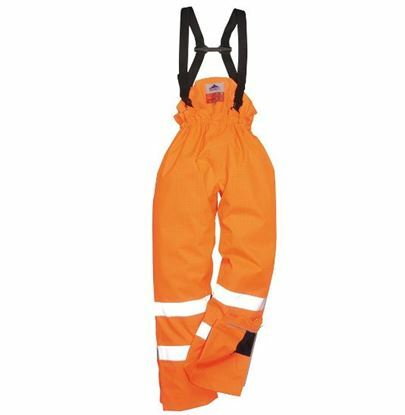 High frequency welded seams. Adjustable snap closure bottom tubes. Water column: 8000 mm. 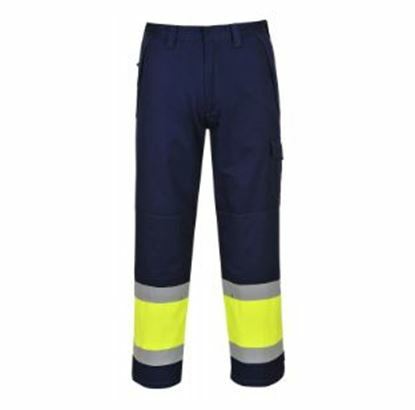 Hi Vis MODAFLAME Trouser features: Back-elasticated waist, CE certified, Knee pad pockets, Rear patch pocket, Rule pocket, Triple-stitched seams, Flame resistant industrial wash tape, Spacious pockets. 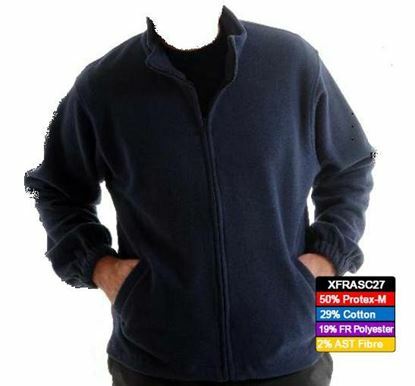 Xcelcius® FR-AST Fleece. 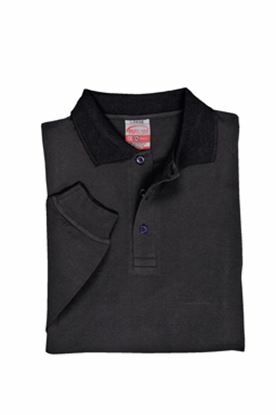 330gsm 50% Protex modacrylic, 29% cotton, 19% polyester, 2% antistatic fibres.Plastic zip front fastening. 2 side pockets. Elastication to the wrists for a more secure fit.